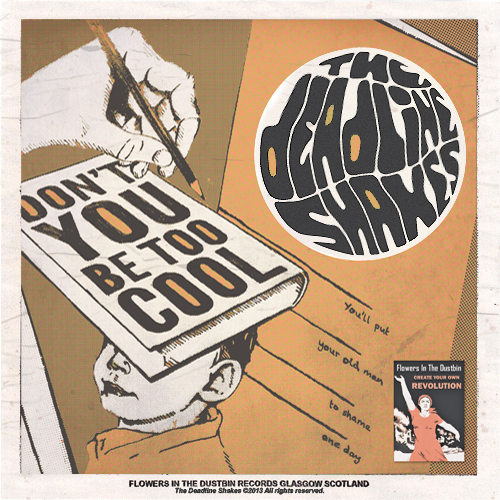 Following hot on the heels of The Deadline Shakes’ debut single ‘Sweeten The Deal’ we are delighted to announce a brand new free single ‘Don’t You Be Too Cool’ – out now as a free download on Bandcamp! ‘Sweeten The Deal’, released on 5th Nov, gained widespread support, featuring on Steve Lamacq (6 Music) and Jim Gellatly’s In Demand show. Vic Galloway selected The Deadline Shakes as one of his Breakout Bands on Radio Scotland, and Artrocker featured the band.